Miss England's 'Billion Dollar Smile 2017 Award,' this includes a trip to Sri Lanka for a photo shoot and also charity work. Molly was the last contestant to where the Miss England's Miss Liverpool Title Sash to date. 2015 Jennifer McSween Jennifer gained the title Miss England Beach Beauty and placed in the Top 15 at the Miss England final. 2013 Jade Bulmer Jade Bulmef:- "Its not all just about beauty its about being a good role model in today’s society." 2010 Amy Jackson Amy Jackson came 3rd in the Miss England contest. 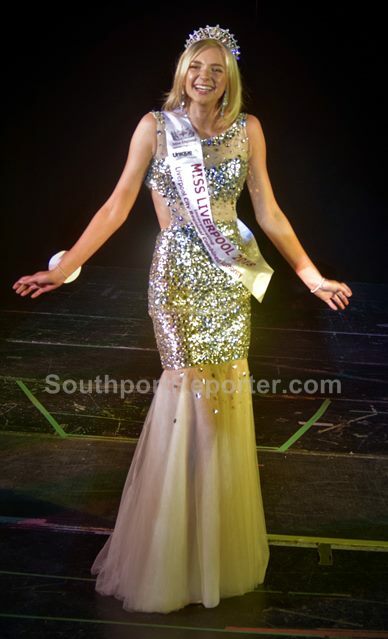 That year also in the running were Miss Southport, Abi Bridgeman, and Miss Wirral, Yasmina Jones. Amy is now a Hollywood and Bollywood star. Danielle Lloyd Danielle is now a former Miss England and is a well known TV star. She currently has her own range of clothing and beauty products. This section is being updated and will be full active very soon. For information about taking part in the Miss Liverpool City Region competition, please email:- Pat@Miss-Liverpool-City-Region.com. Helen Keller said:- "The best and most beautiful things in the world cannot be seen or even touched, they must be felt with the heart."